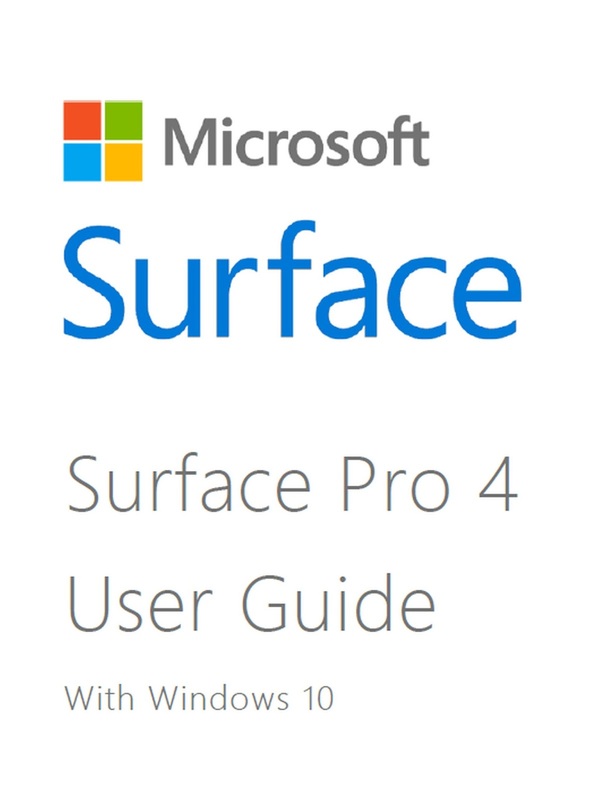 Surface Pro 4 Manual / User Guide With Windows 10 - Tutorial Set up your Surface Pro 4 - The Surface Pro 4 is the fourth-generation Surface-series 2-in-1 detachable, designed, developed, marketed, and produced by Microsoft. The Surface Pro 4 was announced on October 6, 2015 alongside the Surface Book. 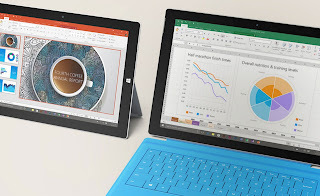 In the U.S. and Canada, Surface Pro 4 was released on October 26, 2015. Surface Pro 4 is an evolutionary update over its predecessor, featuring more power-efficient and powerful CPUs, more capacious RAM and SSD options, a slightly bigger display with a greater resolution, and a better cooled chassis. At the same time, the device is compatible with all of its predecessor's accessories. 1. Connect the two parts of the power cord. 2. Connect the power cord securely to the charging port. 3. Plug the power supply into an electrical outlet. If you have a Type Cover for Surface Pro 4 (sold separately), snap it into place and open the kickstand. Press the power button to turn on your Surface Pro 4. 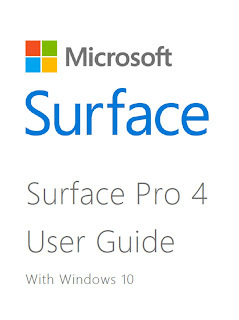 Windows starts and guides you through the setup process. For more info, see Set up your Surface on Surface.com. It takes two to four hours to charge the Surface Pro 4 battery fully from an empty state. It can take longer if you’re using your Surface for power-intensive activities like gaming or video streaming while you’re charging it. You can use the USB port on your Surface Pro 4 power supply to charge other devices, like a phone, while your Surface charges. The USB port on the power supply is only for charging, not for data transfer. If you want to use a USB device, plug it into the USB port on your Surface. Surface Pro 4 Lock screen. When you wake your Surface, the battery status appears in the lower-right corner of the lock screen. Surface Pro 4 Desktop taskbar. Battery status appears at the right side of the taskbar. Select the battery icon for info about the charging and battery status, including the percent remaining. 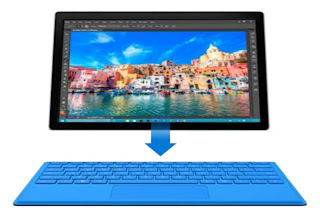 With Surface Pro 4, you can easily switch between using touch, a keyboard, a mouse, or a pen. Type Cover keyboard and touchpad. 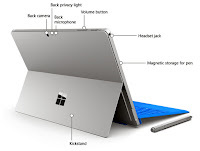 The Type Cover for Surface Pro 4 (sold separately) clicks into place when you want to type and folds back out of the way when you want to use your Surface as a tablet. Because the Cover is perfectly sized for your Surface Pro 4, closing it puts your Surface to sleep while it protects the touchscreen. 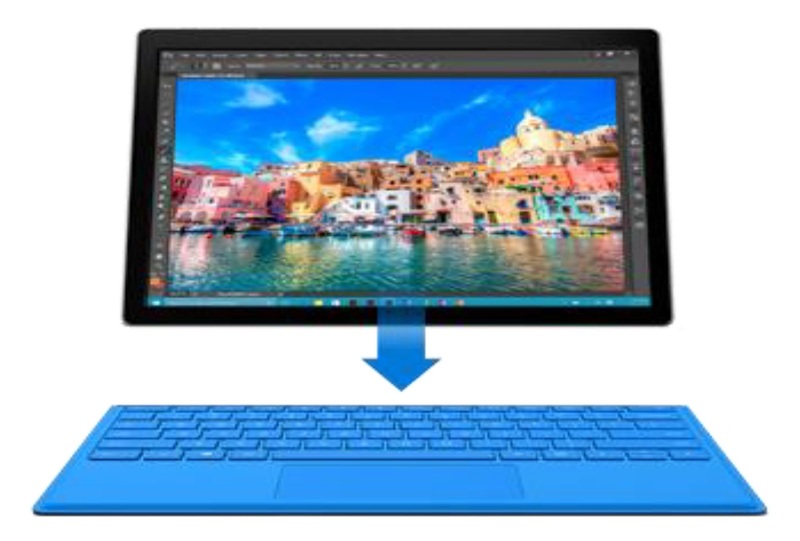 The Type Cover includes a touchpad that supports Windows 10 gestures. For more info, see Touchpad use and settings on Surface.com. Surface Pen. Take notes, draw, and mark up documents using the Surface Pen that comes with your Surface Pro 4. Click the top button once to jot a quick note in OneNote, double-click to take a screen capture straight to OneNote, or hold the button down for a second or two to open Cortana. Write, draw, and tap naturally with the Surface Pro 4 tips —while the tip is near the screen, Surface ignores touches from your hand. Flip the pen around to erase with the top button. A button near the tip lets you right-click without changing your grip. For more info, see Using Surface Pen (Surface Pro 4 version).